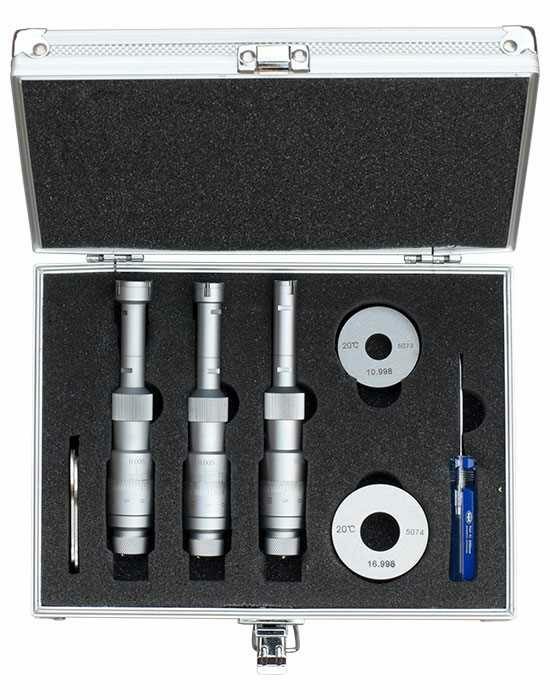 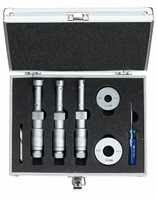 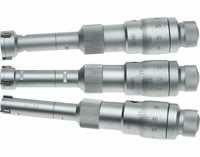 Set of 3 high precision Three Point Internal Micrometers for accurately measuring bores. 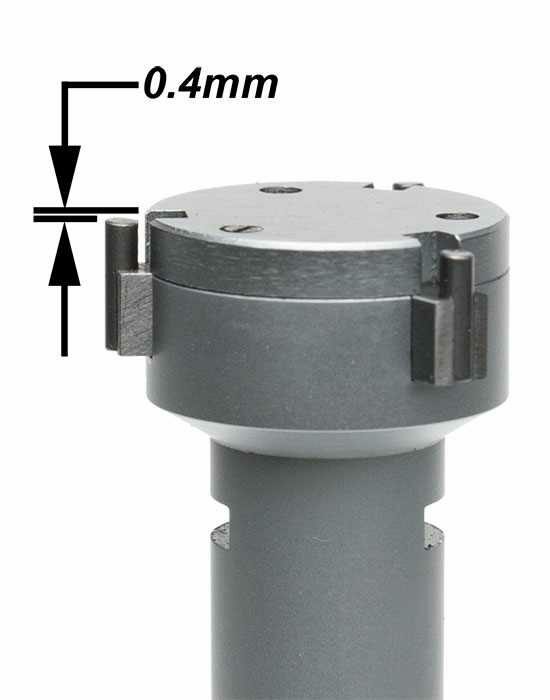 The self-centring measuring head consists of 3 laterally positioned carbide anvils offset at 120° intervals. 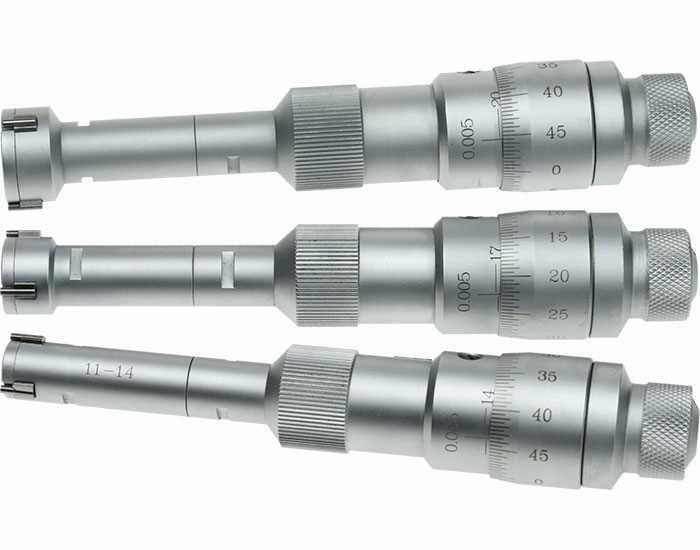 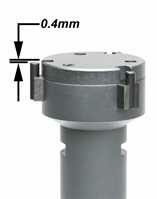 Their design allows these micrometers to measure down to 0.4mm of the bottom of a blind bore.